Limousine comfort in a van length vehicle. 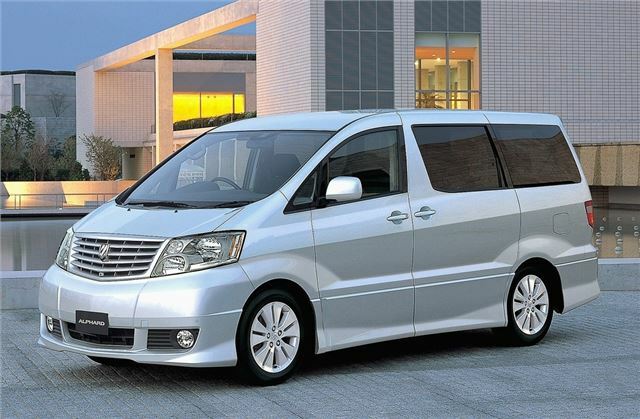 High-end, luxuriously trimmed 'mini-van' often used as a limousine in Japan, Hong Kong and Thailand. Also sold in Russia from 2012. Some have found their way to the UK. Expensive and ugly but actually Toyota's best selling MPV in Japan. The original Aphard from 2002 to 2007 was a Japanese domestic market model, RHD only, but many found their way out of the country as 'grey' exposts, particularly once they were more than 7 years old. The second generation 2008 to 2015 included a hybrid and was exported to countries such as China, Thailand and Malaysia.